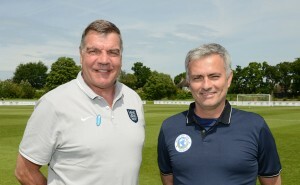 Soccer Aid: Is the world’s leading football specific TV entertainment show with all proceeds benefitting UNICEF. The event is a collaboration between Robbie Williams, ITV, Endemol and Triple S Sports & Entertainment Group. Over the years it has attracted some of the world’s biggest football and entertainment stars including Diego Maradona, Luis Figo, Zinedine Zidane, Gordon Ramsay, Will Ferrell and Mike Myers. 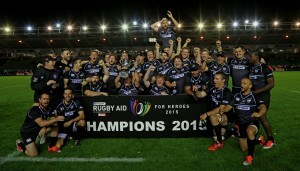 Rugby Aid: In September 2015 Triple S organised the first Rugby Aid match. The charity game involved a mix of ex rugby pros, celebrities, and serving members of the armed forces representing England and the Rest of The World. The event raised £150,000 for Rugby for Heroes, the charity that helps ex-military return back to civilian life. Stars that took part included Jason Robinson, Shane Williams, Mike Tindall, Brad Thorn, Harry Judd, Andy Cole, Jamie Laing and Louie Spence. 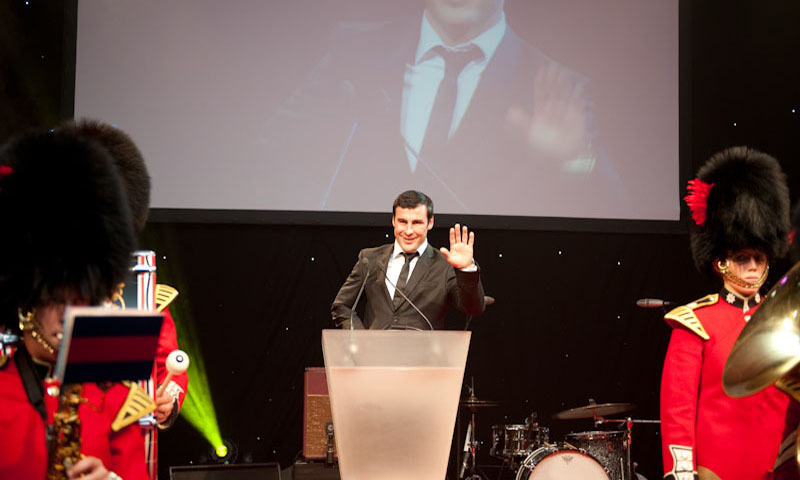 Joe Calzaghe Gala Dinner: Undefeated boxer Joe Calzaghe turned to the expertise of Triple S to organize his Gala Dinner in aid of Help for Heroes. 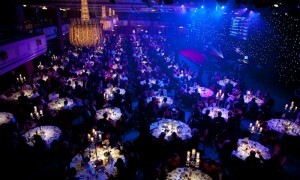 The event took place at one of London’s most extravagant venues, the Grosvenor House Hotel and was a huge success. Pre-Season Tours: Our event management team and official FIFA licensed match agent have organised tours and matches for clubs such as Newcastle United, Manchester City, Manchester United, AC Milan and Juventus. Rangers v Manchester United Legends Match: Due to the teams experience with Soccer Aid we were asked to organise a charity legends game for the Rangers Football Club foundation between Glasgow Rangers and Manchester United, two of the UK’s biggest clubs. Hillsborough 20th Anniversary Memorial Game: In 2009 more than 25,000 Liverpool fans flocked to Anfield for the Hillsborough memorial match to watch Liverpool Legends play an All Star 11. Triple S played an integral part in sourcing the talent for the event. Sky Ones ‘The Match’: The Match was a popular programme that started in 2004 and went on to produce a further to editions. It saw a team of celebrities come up against a team of footballers at St James’ Park. 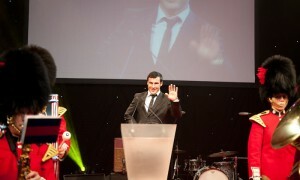 Some of the stars included Ian Rush, John Barnes, Ally McCoist, Jonathan Wilkes, Ralf Little and MC Harvey.